I have a special optional and extremely difficult mission for you, we won’t penalize you if you decline it. It appears that some local Blood Raider conflicts over Sani Sabik religions doctrine have boiled over and caused a prominent pirate captain to declare herself independent from the rest of the Covenant. This particular pirate seems obsessed with the Drifters and is collecting capsuleer bodies to use as some sort of “bait” for attracting them. She has started to collect her own fanatical followers and this could get out of hand quickly if not dealt with soon. They have all scans open, so we can't go there in force. If you accept this mission, it's you against them. Only medium sized ships can gain entry to the hideout, so don’t try to bring anything bigger. This rogue pirate is flying an extremely well fitted Ashimmu cruiser sporting powerful Nosferatu modules and long-range Stasis Webifiers. Our intelligence reports indicate that she is armed with beam lasers that deal EM and Thermal damage. She also has two wingmen flying Sentinel class Electronic Attack Frigates. The Sentinel wingmen are equipped with autocannons loaded with Barrage ammo. They also sport extremely effective tracking disruptors and have been seen supporting their leader by destroying any hostile drones they see. These pirates always fly with a Warp Scrambler and long-range Stasis Webifiers fit. A word of warning: these rogue pirates are extremely dangerous and have proven very capable of destroying capsuleer ships. If you choose to decline this mission or if you fail to complete it, you will not lose any standings. It appears that a small group of Serpentis corporation test pilots have absconded with some prototype battlecruisers being developed for smuggling operations. We’ve located three of these pilots in a base they’ve established not far from here. 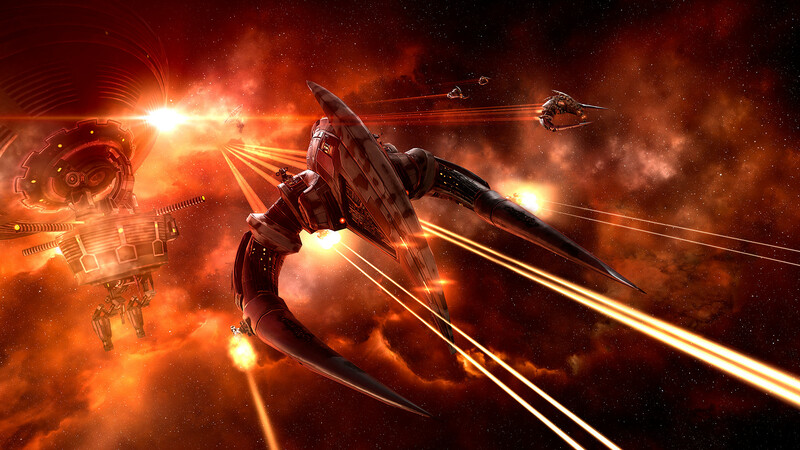 These rogue pirates are flying advanced prototype battlecruisers capable of dealing damage at long range. Our intelligence reports indicate that they are armed with railguns loaded with Spike ammunition. Survivors of our last failed attack against their compound indicate that they use long ranges combined with powerful sensor dampeners to avoid danger. Their base is also equipped with a huge minefield of proximity-activated autoturrets. These turrets deal EM damage and will cause you problems if they activate, but they remain dormant unless a ship enters within 10km of them. Fly carefully to avoid the turrets. These pirates always fly with a Warp Disruptors fit.